Summer kicks off pepper season, marked by the appearance of little green pepper hills on the bars of the city. 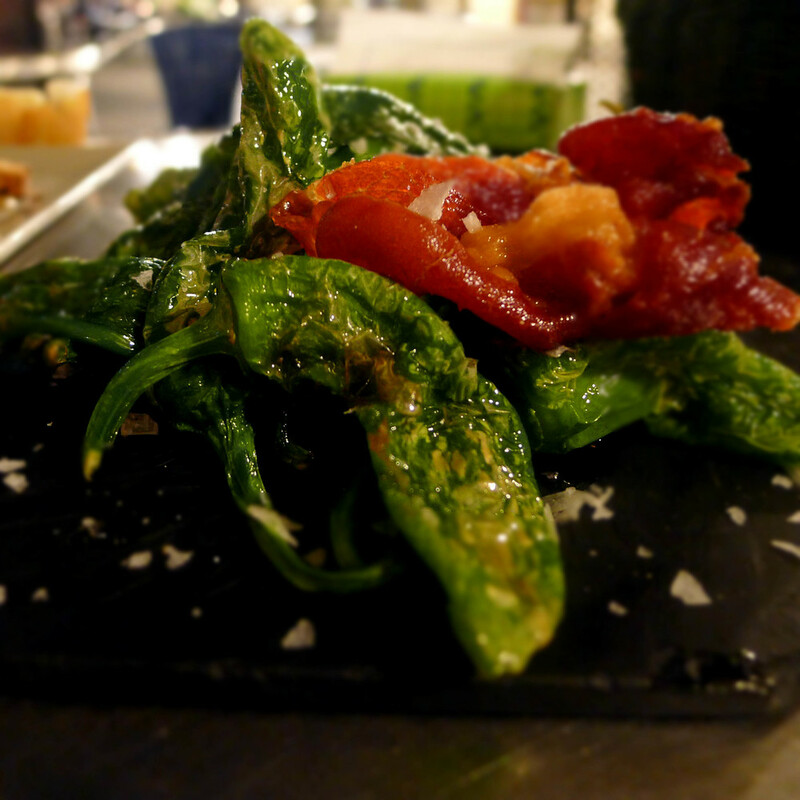 Enjoy Padrón peppers, Gernika peppers, and guindillas for the few months of the season. They are nearly always served fried and sprinkled with flakes of sea salt. Exquisite. Part of the 365cities project.